Obviously, the roof is one of the most structurally significant features on your home. It protects you, your family, and your belongings from inclement weather – that’s a no brainer. But also, your roof ultimately provides structural integrity as well. Without a well-maintained roof, you’re risking damage to your home and your belongings. And then, there’s the cost of roofing repair and replacement to consider. Every roof will require some work over time, and roofing replacement is inevitable, but you can delay the inevitable by practicing effective roof maintenance. And what is the first step in proper maintenance? Roof inspections! The importance of roof inspections cannot be understated. Left unchecked, damage to your roof is not just a likelihood, it’s a certainty. When you think of the function of your roof and its exposure to the elements, you should easily see that your roof takes a beating – from rain, snow, wind, and sun. In addition, your roof features many structures that provide ventilation for plumbing and heating. All these entry points to your home can only provide so much protection. Regularly inspecting your roof allows you to identify potential risks early enough that minor repairs are usually adequate. Delaying or avoiding inspections only allows small problems to fester into big…COSTLY problems. Looking at your roof from the yard out front might seem well and good, but you’re not likely to notice more minor signs of damage. In fact, you should entrust roofing inspection to the hands of qualified professionals. After all, an adequate roofing inspection will include checking for corroded or loose flashing, signs of water damage in your rafters, thorough inspections of shingles or other roofing materials, and signs of leaks or rust to metal fixtures. Most importantly, a comprehensive, annual roof inspection will extend your roof’s lifespan and save you money. So, what should you expect from your roof inspection. First, your roofing professional with conduct a thorough surface evaluation. Damaged or missing shingles will be identified and repaired, and your roofer will likely also assess the cause of the damage to make recommendations to prevent future problems. Your roofer will also inspect the structural integrity of sub-roofing surfaces. 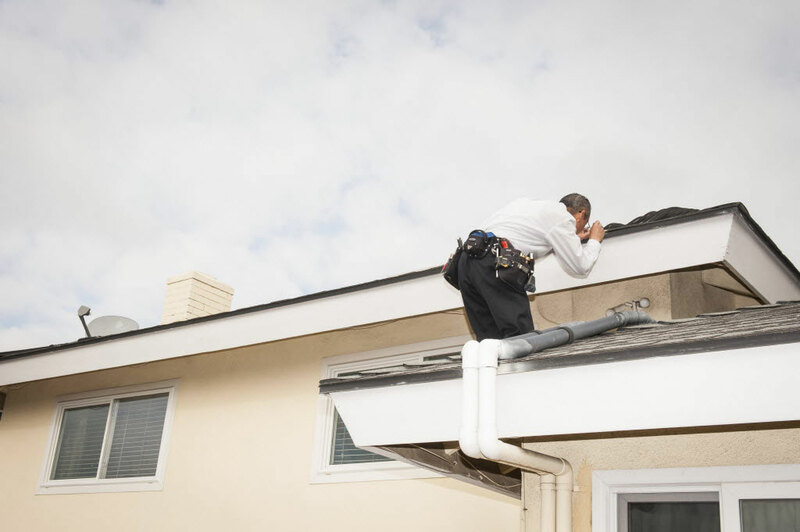 This means inspecting below roofing materials as well as inspecting attics and crawlspaces below roof surfaces. Finally, your roofer will inspect ventilation systems and insulation to make sure there are not significant moisture problems that compromise the integrity of your roof. Ultimately, when it comes to the importance of roof inspections, the goal is to keep your roof in its best possible condition so it lasts longer and protects better. Nothing compares with expert inspection and advice so that you can address current problems and avoid future roofing nightmares.